Workaholic elf Dagfinn Snorkelbone thought he could relax in his new position working in the Valentine’s Day Department on the enchanted Evermore Island, but he was wrong. 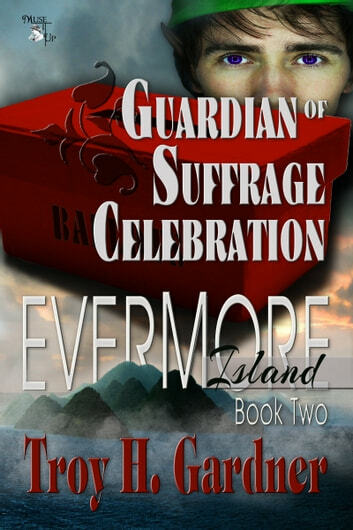 While throwing an office party to celebrate his promotion, Dagfinn meets the charming, but dangerous, Julian, who runs the darker holidays on Evermore Island. Rumors swirl around the island that Dagfinn is friends with the mysterious wolf. 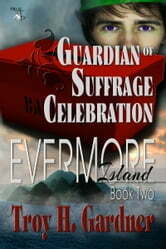 When a series of misfortunate events threaten to destroy the fledgling Susan B. Anthony Day Department, dedicated to celebrating the suffrage movement, Julian is the prime suspect. Dagfinn is roped into going undercover to find proof of Julian’s wrongdoings. Can the elf complete his mission in time, or will the saboteur’s nefarious plans succeed in destroying suffrage celebration?